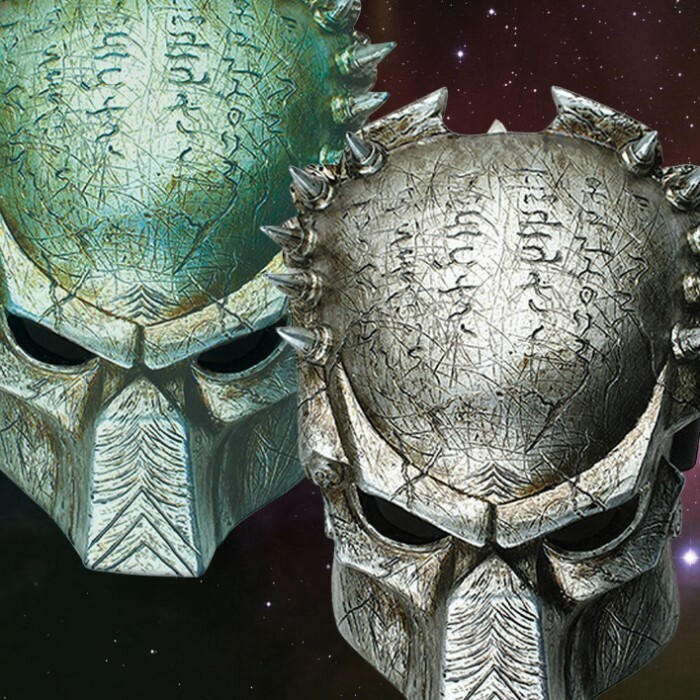 Predator Mask | BUDK.com - Knives & Swords At The Lowest Prices! 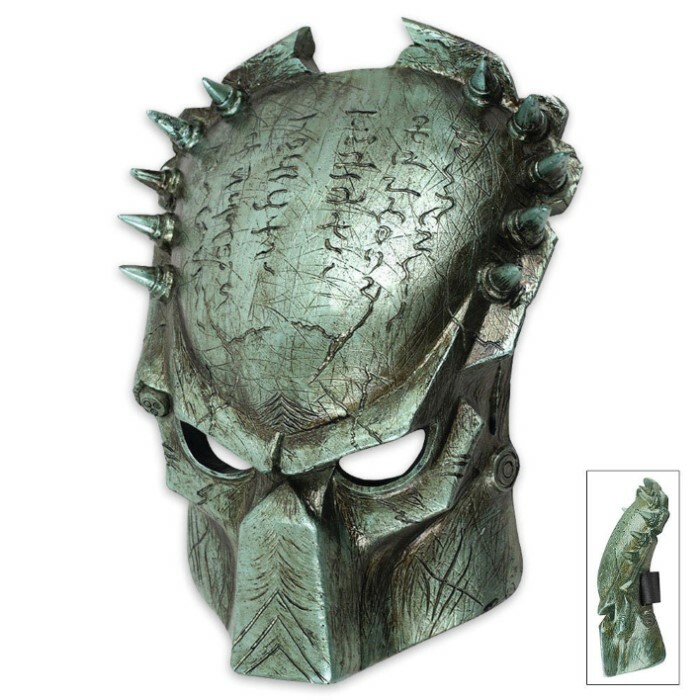 Be the Predator from your favorite action movie with this realistic full-facemask. . Highly realistic details mirror that of the actual mask worn in the movie. Great mask! It was a huge pain growing out my dreads to play the part but once I did was I able to successfully kill four victims. Would recommend to a friend! I can still hear my friends screaming over the mask before I killed them. THEY LOVED IT! This was a cool looking mask, so I had to buy for the price it was advertise! I gotten a few compliments on it! I wore this mask over a cheap rubber mask and it fit nicely. I frightened more teens than children, it was funny to watch. Nice mask really looks great, but it is way too heavy to wear as a mask. It would be better to just hang on the wall. Cheap velcro strap for the mask. I got this for my son for his birthday. He loved it!! It was perfect and exactly as described. It is made of high quality material that is very sturdy.